Unfortunately our Maloyaroslavets game did not quite go to plan. Mea culpa. 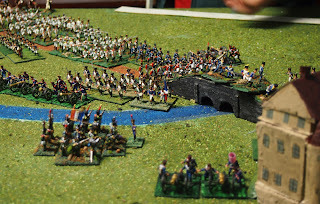 (Note: we played a second version of this in February 2013, with quite a different feel and results! 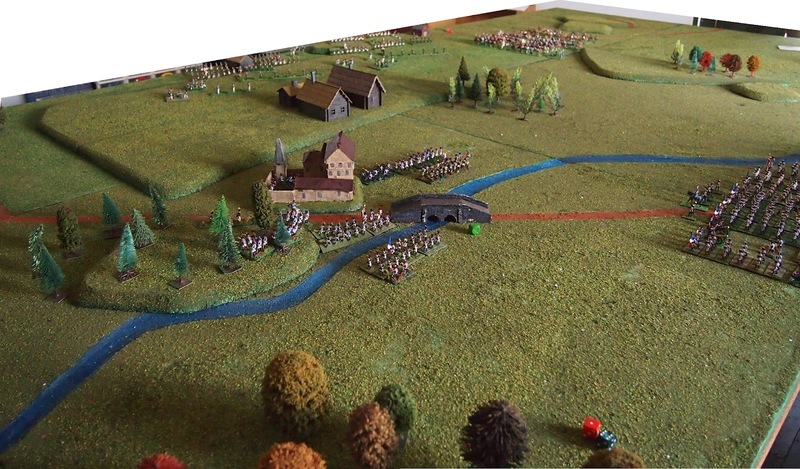 I used the scenario that Peter ‘Gonsalvo’ had used at Historicon this year, which he had derived directly from the one for ‘Age of Eagles’ by GRW. 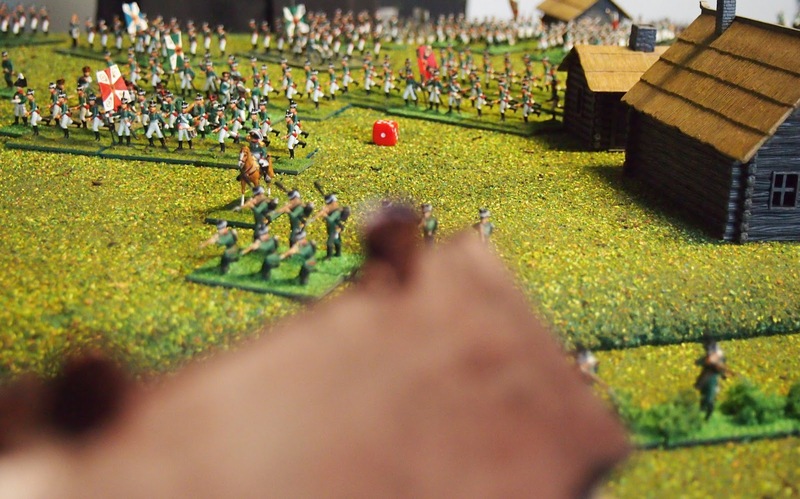 I made a few changes to these scenarios to suit our Shako rules, our terrain squares and the objective points form of victory conditions that we have adopted. 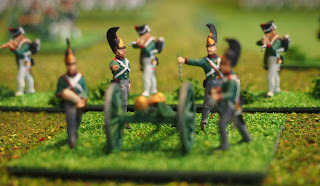 (This was the only useful thing to come from our reading and play-test of the "Grand Battery" rules; a decidedly ‘lack lustre’ set—to use the generous version of our assessment). Unfortunately, the changes that I made transformed a perfectly good scenario into one that did not work! 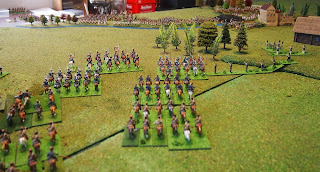 The way that I changed the map to suit our squares meant that the two armies only came to grips in the last two turns! 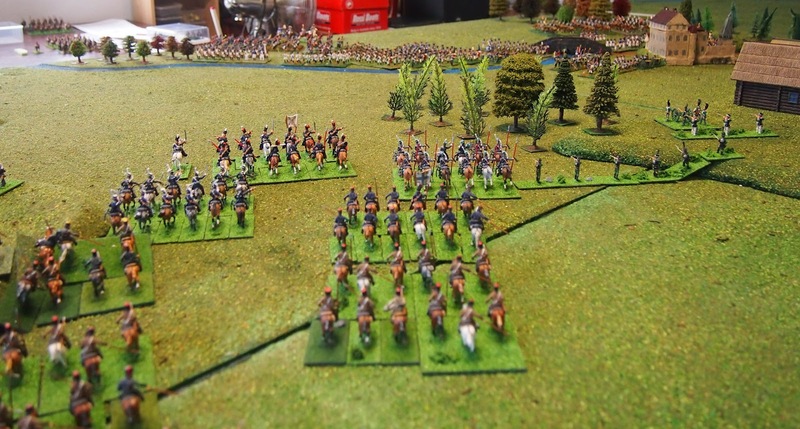 I did not calculate the objective points correctly either, so what looked like a nil-all draw ended up as a marginal French victory. 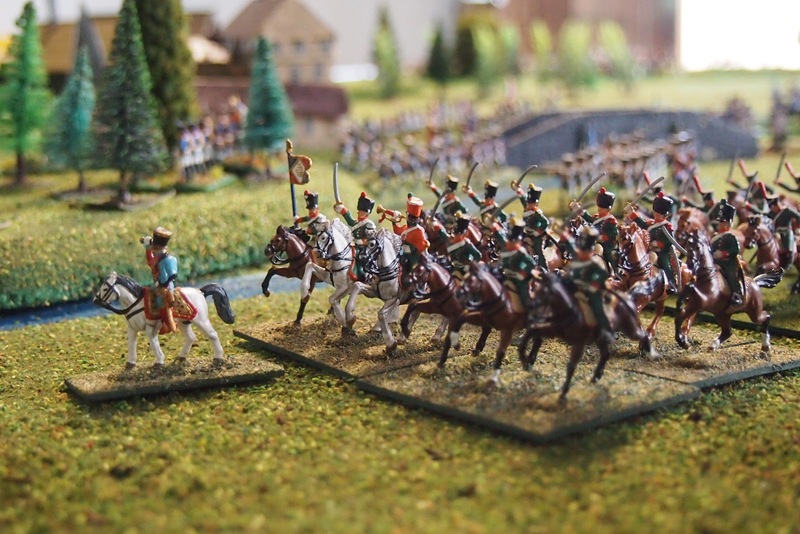 Ah well, we had a day of easy wargaming, Eugène restored his confidence after Borodino, the ‘lads’ of both sides had a day out marching across our nice terrain (albeit with a few cannon balls flying around) and the scenario will form the basis of our second, ‘proper’ attempt next month. Oh yeah, I got some pretty good photos with which to decorate this blog too! 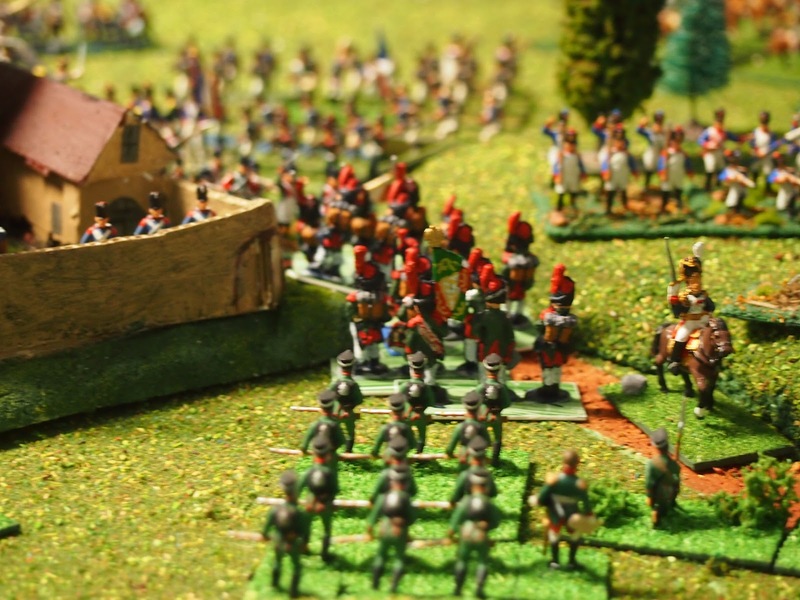 Remembering Borodino, Ornano's chasseurs stay safely behind the Lutsa, well away from the Cossacks! 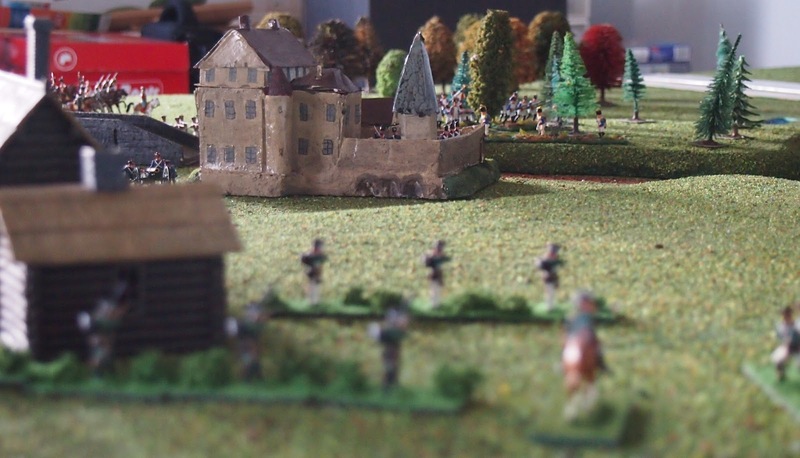 which the jägers, encouraged by their staff officer (and a '6'), won thanks to my '2'! 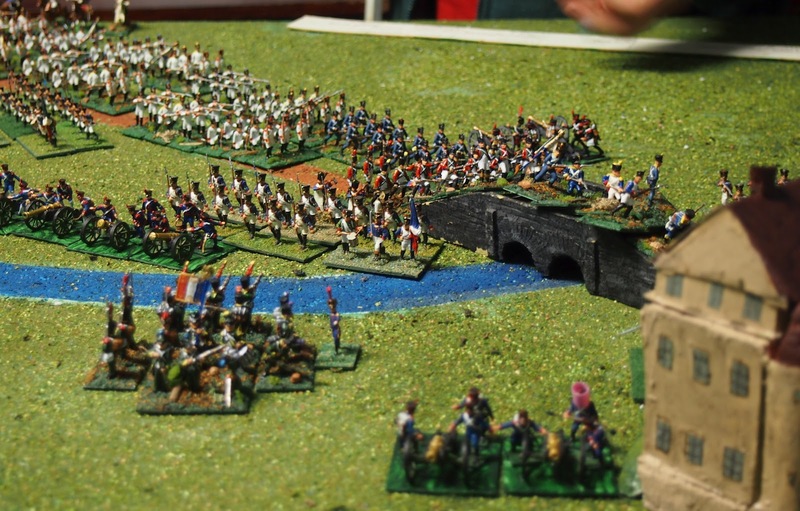 Next time: Borodino battle report. WOW, yes a very a-historical result! 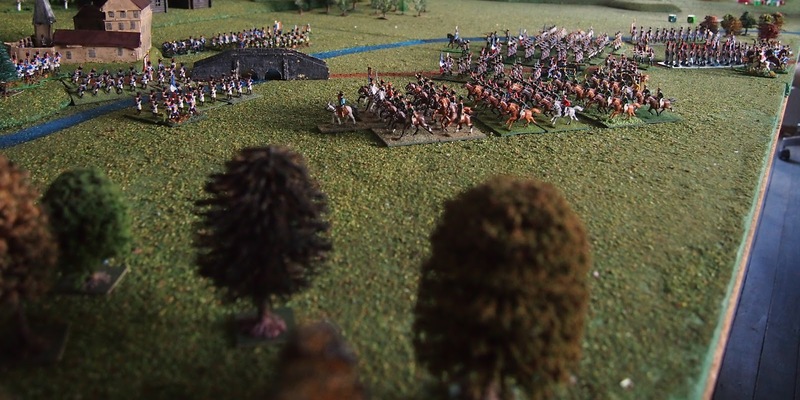 The fighting was slow at first then by noon hot and heavy till about 4 pm ... then dropping off till about 7 pm when another BIG PUSH happens - back and forth from both sides - then dropping way off into skirmishing till 10 or 11 pm. The one I did had rapid charge/counter-charges then a lull, the once Raevsky shows up a massive surge rushing into the town. Have you considered allowing the French to 'hold' the town with Eugene only starting to arrive ... this way the Russians have to push them out early and will have more 'mix it all up sooner? Don't you just want to kick yourself when you realize that you have made an error in scenario design? I run into this problem all to often when I try to design scenarios! Luckily, my gaming friends just laugh at my miscalculations and we press on with the game anyway. 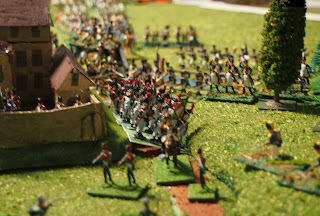 A re-fight will be just the thing! This is not an easy action to get "right", IMHO. 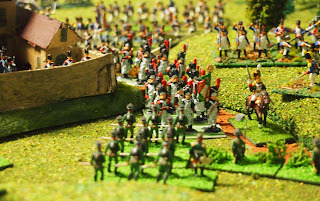 Our first game definitely turned up major issues that were adressed in the subsequent revision,some related to the different figure and ground scales, and others related to the differing nature of the rules (Age of Eagles vs Field of Battle) after which it worked OK. On the one hand, it is a potentially pivotal moment historically, as the French might have ended the retreat in far better shape had they been able to take the Southern Route, which in turn could have made 1813 look rather different. OTOH, the restrictive nature of the terrain, the piecemal arrival of the troops, and the bottleneck at the bridge makes it a challenging battle to wargame and give the players enough to do. Essentially, the prompt Russian response by the historical commanders on the spot made a solid victory by the French almost impossible... and a solid victory is what it would have taken, realistically, to open the Southern route. 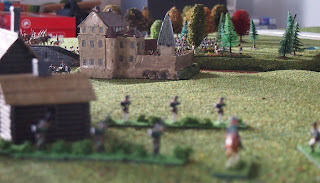 Thus I found refighting the battle very satisfying from a learning standpoint, and OK as a wargame with the scenario revised to speed up the action in game terms. 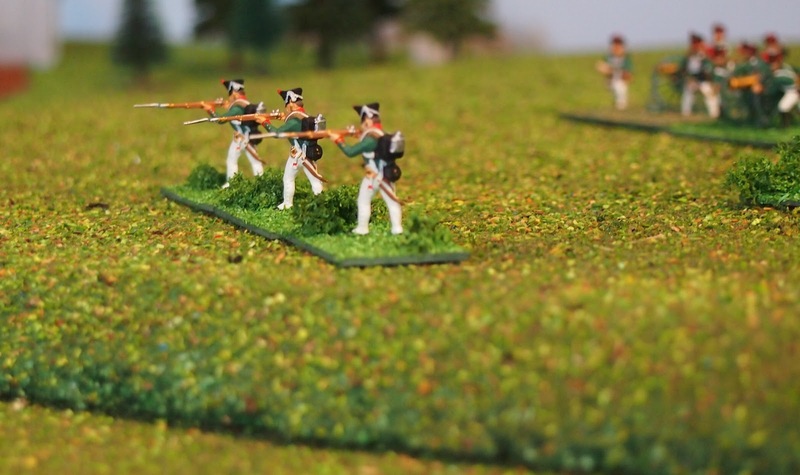 BTW, I find scenario design the most challenging aspect of our hobby to do well. I've done some great ones, and some real clunkers. 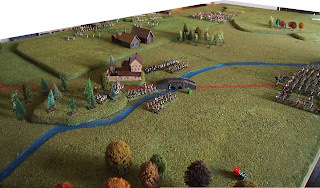 :-) Eggmuhl took us three playtests to find a way to preserve the historical situation and yet adjust the victory conditions to make an interesting wargame. When in doubt, I now err on the side of a better game! More supportive and encouraging comments from our "community" and some really useful reflections. Thanks all. I especially appreciated the anecdotes of other people's good and bad experiences with scenario design (and particularly this one). As Peter points out, the trade-off between our concept of 'realism' and the war-"game" is always a bit of a challenge. I do not wish to overplay this little episode. It's not as if we are devastated by the weekend's game, just a bummer that it did not quite go to plan. 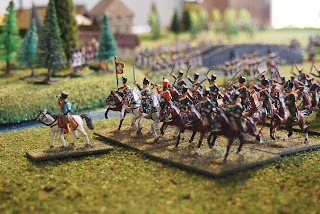 Another of the many beauties of our hobby is that we can do it all again; and we will next month! A special thank you to you MurdocK for posting a link to this report on your wonderful blog. I have no doubt that your version of Maloyaroslavets at Dak-Kon in Courtenay, BC THIS WEEKEND will go really well. 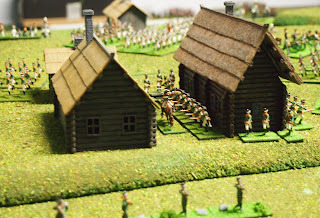 Check the playtest on his blog (http://murdocksmarauders.blogspot.com.au/2012/10/maloyaroslavets-playtesting-2.html). 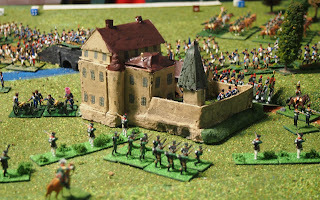 You may also like to join his Leipzig 2013 campaign (http://murdocksmarauders.blogspot.com.au/2012/10/campaign-planning.html). We spoke about this on the weekend and reckon we'll be able to be a part of it MurdocK; I'll send you a separate email to 'discuss' details. Thank you James for the extra notes. Planning on plenty of pictures and notes about the convention game - may not be able to blog it all until Wednesday afterward and I am sure to have at least one active player - who did the Eylau game in 2007!